As we begin a new year, thoughts often float to the future and innovation. In the school bus industry, one of the consistent drivers of change in 2018 was the possibility of alternative-fuel technology and the movement toward electric options. As the “greening” of the school bus industry moves into propane and compressed natural gas markets, manufacturers are also promoting the benefits of going electric. While looking forward to the potential of school bus transportation options in 2019, consider these pros and cons of electric school buses. Overall innovation in the school bus industry with regard to electric options creates excitement, engagement, and possibilities for funding. For instance, the “Big 3” — Blue Bird, IC Bus, and Thomas Built — all debuted new electric options at the National Association for Pupil Transportation trade show, which offered safety features such as a collision warning system, pedestrian detection, and 360-degree multi-camera options. If the main three are moving in that direction, the industry will, too. As part of the innovation, oil and fuel filter replacement timelines are stretching out farther and farther, with some of the latest NAPT trade show offers promising replacements at more than 45,000 miles, 18 months or 1,500 hours. Plus, as more vehicles are purchased and parts become less expensive, the market price will drop overall. Grants will help as well. For example, several California school districts were able to use state grant money to purchase electric buses from Blue Bird, which were delivered in September. Michigan also recently announced that $13 million of its $65 million Volkswagen settlement fund will go toward replacing diesel school buses with alternative-fuel or electric buses, earmarking $3 million specifically for electric. For now, the main drawback to an electric option is the higher purchase price, which is why some school districts are taking a step into the industry by buying one or two buses to add to their current fleet. Replacement costs could be expensive as well -- particularly batteries -- as school districts adjust to the financial differences of changing oil, fuel, and filters as compared to batteries. With the batteries, some districts may also be concerned about the limited miles available on a single charge, depending on what distance and which routes must be covered within their operation. As innovations continue, these charge times will extend, but it does require upkeep and scheduling on behalf of the transportation department to ensure vehicles are fully charged and ready for pick-ups and drop-offs each day. Finally, school districts may also be concerned about the availability of support infrastructure given the newness of electric school buses. As the “Big 3” move deeper into this realm, support options should become more available. For instance, at the NAPT trade show, several companies offered a virtual technician for remote diagnostics services. The California school district that added electric buses from Blue Bird this year, for instance, felt comfortable with local support from the company since they bought compressed natural gas buses from Blue Bird, as well. 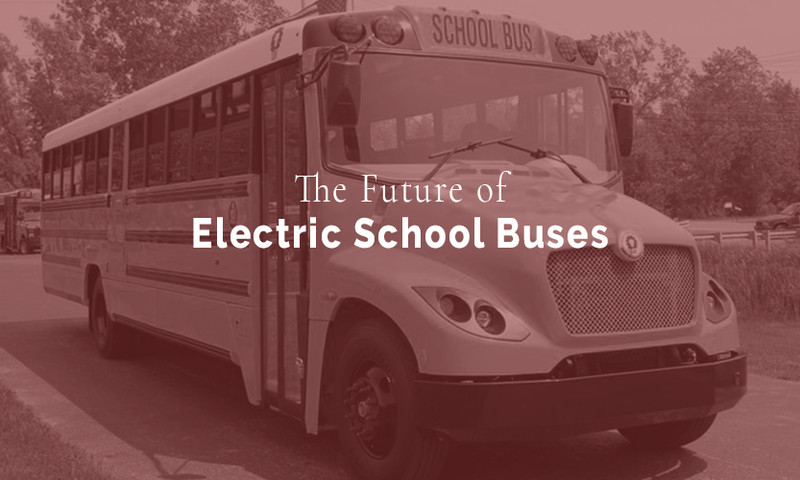 As some in the school bus industry said in 2018, the transition to electric buses is not a question of “if” but “when.” In 2019, you may decide when that move might make sense for you.